Gap is recalling about 7,000 baby swimsuits sold in the U.S. and Canada. The swimsuits have halter straps that were manufactured too short causing the plastic ring located at the neck of the swimsuit to press against the childs throat and obstruct the airway. This poses a strangulation hazard to the child. The suits were sold at the babyGap, GapKids, Gap, Gap Outlet stores nationwide and online at www.gap.com from February 2010 through April 2010 for between $17 and $20. They were made in Indonesia and China. Consumers should immediately take the recalled swimsuits away from children and return them to the place of purchase for a full refund. Contact Gap to return by mail if purchased online. For additional information, contact Gap toll-free at (888) 747-3704 between 9 a.m. and 9 p.m. ET Monday through Friday, and Saturday between 12 p.m. and 7 p.m., visit the firms website at www.gap.com. Yamaha is recalling about 20,000 all-terrain vehicles (ATVs). The steering column support assembly can crack and cause the rider to lose steering control, posing a risk of injury or death to riders. Yamaha has received 19 reports of incidents involving the recalled ATVs. No injuries have been reported. The ATVs were sold by Yamaha dealers nationwide from October 2007 through March 2010 for between $7,000 and $9,500. They were made in Japan. Consumers should immediately stop using the recalled ATVs and contact their local Yamaha dealer to schedule a free repair. Registered owners were sent direct mail notification of the recall. For additional information, contact Yamaha at (800) 962-7926 any time or visit the company's website at www.yahama-motor.com. Comarco Inc. is recalling more than 500,000 Targus universal power adapters for laptop computers. Faulty wiring can cause the connector tips to heat and melt the plastic encasing the connector tips, posing a burn hazard to consumers. The firm has received 518 incidents of the connector tips heating, 53 of which resulted in the melting of the plastic casings. Eight consumers have reported a finger tip or hand burn. No reports of medical attention were received. This recall involves the Targus Universal Wall Power Adapters for Laptops. Only models with the following SKU numbers are affected by this recall: APA23US-02, APA23US-03, APA23US-04, APA63US-03, APA63US-04, APM62US-03 and APM62US-04. The SKU number can be found on the underside of the adapter unit. The adapters were sold at WalMart, Best Buy, Office Depot, Staples, Amazon.com and other retailers nationwide from June 2009 through March 2010 for between $89 and 109 for adapters for wall outlets only and for between $129 and $149 for adapters for both wall outlets and car/airplane use. They were made in China. Consumers should immediately stop using the recalled adapter and contact Comarco to receive instructions on returning the unit for a free refurbished replacement. For additional information, contact Comarco toll-free at (877) 781-5186 between 7 a.m. and 6 p.m. CT Monday through Friday or visit the firm's Web site at www.regcen.com/comarcorecall. More than 217,000 Graco-branded drop side cribs made by LaJobi are being recalled. The drop side hardware can break or fail, allowing the drop side to detach from the crib. When the drop side detaches, a hazardous gap is created between the drop side and the crib mattress in which infants and toddlers can become wedged or entrapped, posing a risk of suffocation and strangulation. In addition, children can fall from the cribs when the drop side detaches or fails to lock. Federal safety regulators and LaJobi have received a total of 99 reports of drop side incidents, including hardware breakage and drop side detachment. There were two incidents in which children became entrapped in the gap created by the detached drop side. Both children were freed by their caregivers. There were six reports of children falling due to drop side failure, including one report of a mild concussion. This recall involves LaJobi-manufactured Graco wood cribs. The full size cribs were sold in cherry, espresso, natural and white finishes. The production date, item number, purchase order number and finish name is printed on a label affixed to the footboard or headboard. "LaJobi" and the crib model name are printed on a product sticker located on the stabilizer bar or bottom rail of the crib. Affected models are listed below. The cribs were sold at children's product stores and other retailers nationwide from February 2007 to March 2010 for between $140 and $200. They were made in China and Vietnam. Consumers should immediately stop using the recalled cribs and contact LaJobi to receive a free hardware retrofit kit that will immobilize the drop side. CPSC urges parents and caregivers to find an alternative, safe sleeping environment for their baby. ICON Health & Fitness is recalling about 33,000 inversion benches. The ankle clamp can release unexpectedly or the strap used to limit rotation can break, posing a fall hazard to consumers. ICON Health & Fitness has received 75 reports of incidents involving the strap breaking or the ankle clamp releasing, including 23 injuries, some of which were to the head and neck. This recall involves the Nordic Track Revitalize Inversion Bench 2.0 model 831.14895.0, Golds Gym Inversion System models GGBE0867.0 and GGCCBE0867.0 and Weider Club Inversion System model WEBE0878.0. The model number is located under the backrest of the bench. The inversion systems consist of a frame with a backrest, headrest and leg clamp assembly. The benches were sold at sporting good stores, Walmart, Sears and other retailers nationwide from April 2008 through February 2009 for between $200 and $300. They were made in China. Consumers should immediately stop using the recalled inversion benches and contact Icon Health & Fitness for a free repair kit. For additional information, contact ICON Health & Fitness toll-free at (866) 506-9095 between 8 a.m. and 4 p.m. MT Monday through Friday, or visit the companys website at www.iconfitness.com. Discount School Supplies is recalling about 3,000 double egg shakers. Surface paint on the red eggs contains excessive levels of lead, violating the federal lead paint standard. This recall involves egg shakers sold in packages of two. The words Double Eggs and Breeded to produce great sound are printed on the front of the package. Only the red eggs are subject to the violation of the lead paint standard. The eggs, made in Taiwan, were sold at discount School Supply stores nationwide from April 2009 through December 2009 for about $3. Consumers should immediately take the recalled eggs away from children and contact Discount School Supply for a purchase credit. For more information, contact Discount School Supply at (800) 606-3807 between 8 a.m. and 4 p.m. PT Monday though Friday, or visit the firms Web site at www.discountschoolsupply.com. Step2 LLC is recalling about 21,000 Basic Rhythms toy drums. The plastic clips used to attach the drumsticks to the drum can break. The small broken pieces present a choking to young children. The drums are intended for preschool age children. The toy drum is sold with two drumsticks that can be stored in clips on the side of the drum. A red "Step2" logo in printed on the side of the drum. The drums were sold at Toys "R" Us, Burlington Coat Factory and other retail stores nationwide from August 2009 through March 2010 for between $10 and $15. They were made in China. Consumers should immediately take the recalled toy from children and contact Step2 to request a replacement toy. For additional information, contact Step2 toll-free at (866) 860-1887 between 8 a.m. and 6 p.m. ET Monday through Friday, or visit the firm's Web site at www.step2.com. Polar Bear Gift Shop of Anchorage, Alaska, is recalling about 300 children's hooded sweatshirts with drawstrings. The drawstrings pose a strangulation hazard. to children. This recall involves children's hooded sweatshirts sold in sizes small through extra large. "John Moose" and "Alaska" screen print logos are printed on the front of the yellow sweatshirts. The "Gaxiani" brand name and RN# 55774 are sewn on the neck tag inside of the garment. The shirts made in Mexico, were sold at the Polar Bear Gift Shop in Anchorage, Alaska from February 2008 through August 2009 for about $15. Consumers should immediately remove the drawstring to eliminate the hazard. Consumers can also return the sweatshirt to Polar Bear Gift Shop for a full refund. For additional information, contact Polar Bear Gift Shop collect at (907) 274-4387 between 8:30 a.m. and 4 p.m. PT Monday through Friday or visit the firm's Web site at www.polarbeargifts.net. SCAN Andersen is recalling about 200 of its 10 wood-burning stoves because the stove's door can dislodge and fall from its hinges, posing a risk of injury to consumers. Three incidents were reported to the firm including one report of a bruised foot. The recalled SCAN Andersen 10 wood burning stoves have serial numbers from 7951 through 8267. The serial number is printed on a label applied to the rear panel of the stove. These units are freestanding, black, cast iron stoves with a single front load door with glass pane. Dimensions are 35"H x 26 2/8" W x 16" D.
The stoves, made in Norway, were sold by company dealers and distributors throughout the U.S. and Canada from March, 2009 to February, 2010. Consumers should contact their dealer for a hinge replacement kit and to arrange for a free professional installation. For more information contact Jotul North America at (800) 797-5912, ext. 108 between 8 a.m. and 5 p.m. ET Monday through Friday or visit the firm's recall web page at www.jotul.com. Tropical Bedding is recalling about 15,000 mattress sets that fail to meet mandatory federal open flame standard and pose a fire hazard to consumers. This recall involves crib and bunkie mattresses and mattress sets (mattresses and mattresses with foundations) in sizes twin, full, queen and king. The crib and bunkie mattresses do not have any labels. The other mattresses have "Classics," "Classics II," "Imagine," "Sweet Mysteries," "Treasures," or "Comfort Dream" printed on a label located at the top of the foot of the mattress. The "Classics" model manufactured between August 2008 and April 2009 is not included in this recall. This model has a federal label attached that includes the date of manufacture and "Classics". The mattresses were sold at City Mattress and furniture stores in Puerto Rico from July 2007 through September 2009 for between $30 and $135. Consumers should stop using the mattresses immediately and return them to Tropical Bedding Mfg. for a refund. For additional information, contact Carmen Martinez at (787) 586-1139 between 9 a.m. to 5 p.m. Monday through Friday. Trendset Originals LLC is recalling about 2,400 gir;s' hooded jackets sold under the Shampoo and the Marci & Me brands. The hooded jackets have a drawstring through the hood that can pose a strangulation hazard to children. The sweater jackets have a drawstring through the waist that can pose an entanglement hazard to children. This recall involves two styles of girls' jackets. The Shampoo brand jackets are denim with a pink hood and sleeves, and were sold in sizes 5/6, 7/8, 10/12 and 14/16. The Marci & Me brand sweater jackets are black or tan and were sold in sizes 7/8, 10/12 and 14/16. The tag at the neck reads "Shampoo" or "Marci & Me." The jackets were sold exclusively at Burlington Coat Factory stores nationwide from September 2007 through September 2009 for between $11 and $13. They were made in China and Bangladesh. Consumers should immediately remove the drawstrings from the jackets to eliminate the hazard. Consumers can also return the jackets to any Burlington Coat Factory store for a full refund. For additional information, contact Trendset Originals at (800) 908-8308 between 9:30 a.m. and 5:30 p.m. ET Monday through Friday, or visit the firm"s Web site at www.trendsetny.com. About 3,200 Niko's Sportsline hooded sweatshirts are being recalled. The children's jackets have drawstrings through the hood which pose a strangulation hazard to children. This recall involves children's Niko brand hooded sweatshirts with drawstrings through the hood. The garment-dyed sweatshirts were sold in mango, kiwi, rust, denim, pink, brown and periwinkle and in sized 2T through 5T. A tag that reads, "Niko's SPORTSLINE" is sewn on the back neck of the garment. The sweatshirts were sold at gift shops, children's stores, souvenir and resort stores in Delaware, Florida, Louisiana, New Jersey, Maryland and Michigan from June 2007 through January 2008 for about $8. They were made in Pakistan. Consumers should immediately remove the drawstrings from the sweatshirts to eliminate the hazard or return the sweatshirts to GJC International of Florida Inc. for a full refund. For additional information, contact GJC International of Florida collect at (954) 581-4646 between 9 a.m. and 5 p.m. ET Monday through Friday. Mares USA is recalling about 755 Mares Nemo air dive computers. An O-ring in the high pressure air connector can fail and leak air, causing a continuous but slow loss of breathing gas, which could require a diver to surface quickly, posing a drowning hazard to divers. This recall involves the Mares Nemo Air Dive Computer, Nemo Air Dive Computer with Compass, Mares High Pressure Hose with Quick Connector for Nemo Air, and Quick Connector Assembly for Nemo Air. These computers have a digital screen which allows scuba divers to measure the time and depth of a dive and process other information to help divers determine safe dive times and ascent rates. The computers, made in Italy, were sold by specialty dive shops nationwide from July 2008 through July 2009 for between $800 and $900 (U.S.) and between $880 and $990 (Canadian). Consumers should immediately stop using the recalled dive computer and connectors, and return the products to their authorized Mares dive shop for a free replacement O-ring connector assembly. The O-rings in some units may already have been replaced, but this recall requires replacing the metal quick connector fitting at the end of the high pressure air hose that holds the O-ring. Replacement connector assemblies have a groove machined around the middle of the fitting, but recalled units do not. All consumers should take their Nemo Air dive computers to a Mares dive shop to confirm whether this connector fitting has been replaced. For additional questions, contact Mares at (800) 874-3236 between 9 a.m. and 5 p.m. ET, visit the firms web site at www.mares.com. Le Hing Inc. is recalling about 200 baby walkers. The walkers can fit through a standard doorway and are not designed to stop at the edge of a step. Babies using these walkers can be seriously injured or killed. The walkers were sold at small independent retailers and discount stores in California and Arizona from June 2009 through August 2009 for between $25 and $28. They were made in Taiwan. Consumers should stop using these walkers immediately and return them to the store where purchased for a full refund. For additional information, contact Le Hing Inc. collect at (626) 575-8566 between 10 a.m. and 4 p.m. PT Monday through Friday. Eastwind Industries is recalling about 4,500 Kuuma IR Stow and Go grills. If the fuel container is not completely threaded on the regulator during installation, the propane tanks can leak fuel. This poses a fire hazard to consumers. Eastwind Industries has received three reports of fires from leaking propane tanks, resulting in reports of minor burns to the hands. This recall involves Kuuma IR Stow and Go barbecue grills. The rectangle grill is stainless steel with the word Kuuma embossed on the front. The grills main housing measures 18 inches long x 8 inches tall x 10 inches deep. Model number 83726 is printed on the barcode label affixed to the packaging. The grills, made in Thailand, were sold Sold exclusively at West Marine stores nationwide from January 2009 through August 2009 for between $100 and $140. Consumers should immediately stop using the recalled barbecue grills and contact Eastwind for a new operators manual with revised graphic installation instructions. Consumers will also receive a new tool to use for maintenance and cleaning of the fuel system. For additional information, contact Eastwind Industries toll-free at (866) 995-8862 between 8 a.m. and 5 p.m. PT Monday through Friday, or visit the firms Web site at www.kuumaproducts.com. 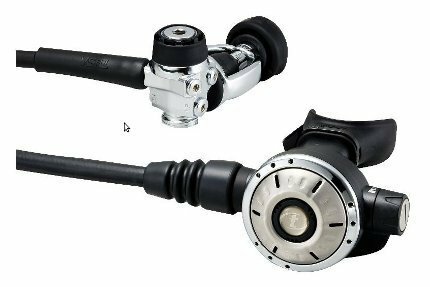 This recall involves R-600 first stage scuba regulators with the following serial numbers: UR600022 through UR600029, UR600031 through UR600103, UR6000637 through UR6000676, UR600708 through UR600716, UR600737 through UR600776. The serial number and TUSA logo are printed on the regulators. The regulators were sold by authorized TUSA distributors and diving and equipment stores nationwide from May 2009 through September 2009 for about $450. They were made in Japan. Consumers should immediately stop using the scuba regulators and return the product to TUSA or an authorized dealer for a free inspection and replacement. For additional information, contact Tabata USA at (800) 482-2282 between 8:30 a.m. and 5 p.m. PT Monday through Friday, or visit the firms Web site at www.tusa.com. Deux par Deux Minimome is recalling about 4,500 children's snowsuits and coats. The snowsuits and coats have drawstrings through the hood that can pose a strangulation hazard to children. This recall involves children's snowsuits and coats sold in sizes 2 through 12. The snowsuits and coats were sold in various colors and prints. The brand name "Deux par Deux" and the style number is printed on the neck tag. The coats weres sold by small boutique retailers in the United States from 2005 through 2010 for $190 for the snowsuits and $120 for the coats. They were made in China. Consumers should immediately remove the drawstrings from the jackets to eliminate the hazard or return the garment with drawstring to the place of purchase for a full refund. Consumers also can return the jackets with the drawstring intact to Deux par Deux, 433 Chabanel West, Suite 1102, Montreal, Quebec Canada H2N 2J8 for a full refund. For additional information, contact Deux par Deux toll-free at 866-557-2222 between 9:00 a.m. and 5:00 p.m. ET Monday through Friday or visit the firm's Web site at www.DeuxparDeux.com. Oriental Unlimited has added its name to the retailers joining the voluntary recall announced in December 2009 of all Roman shades and roll-up blinds. Strangulations can occur when a child places his or her neck between the exposed inner cord and the fabric on the backside of the Roman blind or when a child pulls the cord out and wraps it around his or her neck. In the case of roll-up blinds, strangulations can occur if the lifting loop slides off the side of the blind and a childs neck becomes entangled on the free-standing loop or if a child places his or her neck between the lifting loop and the roll-up blind material. This recall involves all styles and sizes of Roman shades and roll-up blinds sold by Oriental Furniture. Oriental Furniture is printed on the packaging. The blinds, made in China, were sold online at www.orientalfurniture.com, www.amazon.com, and www.overstock.com from March 2009 through December 2009 for between $20 and $60. Consumers should stop using the recalled Roman shades and roll-up blinds immediately and contact the Window Covering Safety Council for a free repair kit at (800) 506-4636 anytime or visit www.windowcoverings.org. Oriental Furniture is contacting all known consumers. For additional information, contact Oriental Furniture at (800) 978-2100 between 9 a.m. and 5 p.m. (ET) Monday through Friday, or visit the firms Web site at www.orientalfurniture.com. Hammary Furniture is recalling about 7,000 decorative wood chests and tables. The surface coating paint on the furniture could contain excessive levels of lead in violation of the federal lead paint standard. Furniture manufactured since April 2009 will have a label that specifies the date of manufacture, the item number, the country of origin, a product description and the name Hammary Furniture. This label is located on the unfinished back of the item or, if the back is finished, on the underside. Products manufactured earlier than April 2009 will not have any identifiable markings on them. Visit the firms Web site www.regcen.com/hammaryrecall for photos of all furniture items included in this recall. Consumers should immediately stop using the recalled furniture, keep young children away from it and contact Hammary to receive a free replacement. Foria International is recalling about 800 women's peacoats sold at Bass Pro Shops. The coats fail to meet the federal flammability standard for wearing apparel and pose a risk of burn injury. This recall involves womens peacoats that are double-breasted and have long sleeves. They are made from 100 percent cotton fleece in large blue and white plaid print. Authentic is printed on the label at the center back neckline of the garments. The coats, made in China, were sold at Bass Pro Shops nationwide from October 2009 through January 2010 for about $60. Consumers should stop using the recalled coats immediately and return them to Foria International for a full refund of retail price including shipping. Foria International address is 18689 Arenth Avenue, City of Industry, CA 91748. Consumer Contact: For additional information, contact Foria International toll free at (888) 999-6568 between 8 a.m. and 5 p.m. PT, Monday through Friday, or visit the firms Web site at www.foria.com (PDF). Gund is recalling about 16,000 paperboard baby books because the styrofoam used to fill the book binding can detach, posing a choking/aspiration hazard to infants and young children. The books, made in China, were sold at gift and specialty stores nationwide from January 2009 through March 2010 for about $8 and $20 for the set. For additional information, contact Gund at (800) 436-3726 between 8 a.m. and 5 p.m. CT Monday through Friday or visit the firm's Web site at www.gund.com. Agio International is recalling about 5,800 outdoor gas fire columns sold at Costco. Gas can leak from connections in the column, posing a fire hazard. The fire columns, made in China, were sold at Costco from August 2009 through February 2010 for about $200. 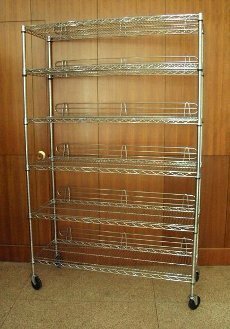 King Long Metal NSF is recalling about 6,800 six-tier chrome shelving units sold at Costco. Shelving unit casters can break at the stem causing the unit to collapse or fall, posing an injury hazard. The shelves were sold exclusively at Costco Wholesale Club locations nationwide from December 2009 through January 2010 for about $90. They were made in China. Consumers should immediately remove the casters and use the shelving unit with the adjustable feet levelers included in the original package. Replacement casters are available from the firm. For additional information, contact King Long Customer Service toll free at (888) 445-9355 between 9 a.m. and 5 p.m. ET Monday through Friday. Crate and Barrel is recalling about 44,000 glass water bottles in the United States and Canada. The glass beverage bottles can shatter when the consumer is removing or inserting the stopper, posing a laceration hazard. The firm has received seven reports of the recalled water bottles shattering, including four reports of hand lacerations. The bottles, made in China, were sold exclusively at: Crate and Barrel stores, Crate and Barrel's catalog and on the Web at www.crateandbarrel.com between December 2008 and February 2010 for between $9 and $17. Consumers should immediately stop using the glass water bottles and return them to any Crate and Barrel store for a full refund. Consumers who purchased the recalled water bottles through Crate and Barrel's catalog or on the firm's Web site should contact Crate and Barrel to arrange to return the water bottles for a full refund. For additional information, contact Crate and Barrel at (800) 451-8217 between 7 a.m. and 9 p.m. CT Monday through Saturday, or visit the firm's Web site at www.crateandbarrel.com. Bauer Hockey Inc. is recalling about 127,000 children's hockey sticks in the U.S. and Canada. Paint and decals on the sticks, shafts and blades contain excessive levels of lead, violating the federal lead paint standard. Nike Bauer Apollo Junior Stick player stick U.S.
Nike Bauer Supreme Force Junior Stick player stick U.S. Junior goal sticks are identified by the markings "P31 - JR - 22 " or "P31 JUNIOR - FLEX 52 - 22 " which appear on the narrow side of the stick shaft near the top of the stick. The sticks were sold at sporting goods stores nationwide from February 2005 through March 2010 for about $80 to $200 for sticks, $30 for blades, and $40 to $90 for shafts. They were made in China. Consumers should take the recalled sticks, shafts and blades away from children immediately and contact Bauer for a replacement or refund. For additional information, call Bauer toll-free at (888) 734-0443 between 8 a.m. and midnight ET Sunday through Saturday or visit the company's Web site at www.bauer.com.